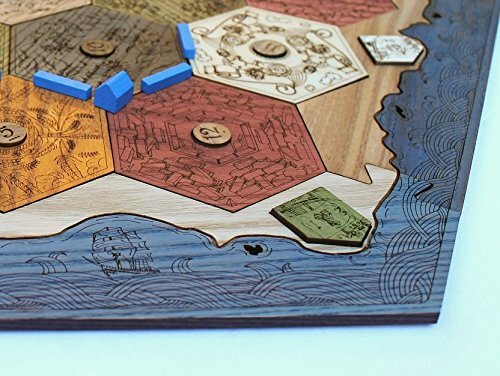 Custom Catan board that is compatible with Settlers of Catan board pieces. This heirloom quality board is crafted from solid ash hardwood. We aim to make only the finest quality tabletop accessories, which is why we choose not to use plywood, as over time, plywood will not hold up to wear and tear. *This is the 4-player normal sized board with Ocean Blue Edges. If you have any questions about this product by Thinking Monk, contact us by completing and submitting the form below. If you are looking for a specif part number, please include it with your message.